Sugaring & Yumi Lash services became necessary monthly services for our team of experts. Our team very busy as always and we are every time to look for places where you can get few different services at the same time. We are always looking for new places to review and try services, but living a busy big-city life we’re also looking to do multiple services at the same time. Sugaring NYC this kind of place. While you get Yumi Lash Lift service the other specialist is doing sugaring on your skin. We visited Columbus Circle location where we met Yana – a Sugaring and Yumi Lash Lift specialist and we’re very happy with the result. Yana is a professional who won’t let you leave until she makes sure that you get smoothest and hairless skin after the procedure. Additionally, you are being provided with the tips and advice on how to take care and keep healthy skin without ingrown hair. 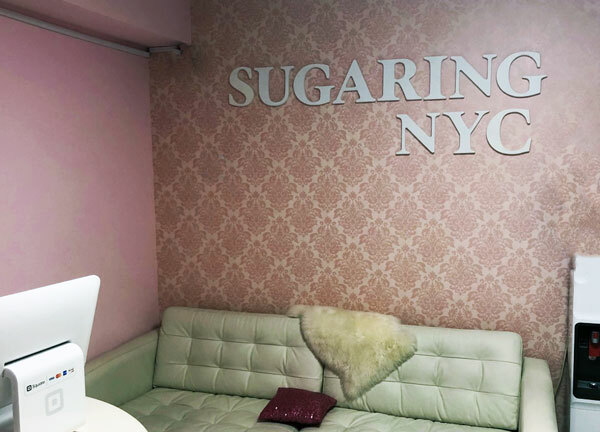 We have interviewed Daria the owner of the Sugaring NYC about the industry, salon and the services. How did you get in into sugaring industry? Why did you decide to start sugaring services? My name is Daria Afanaseva and I am the owner of Sugaring NYC, organic waxing & lash studio. Sugaring is a method of hair removal that existed BEFORE people invented regular waxing technique that is so popular nowadays. And the only reason why it happened is because of the sugaring “flick” difficulties. 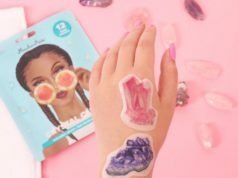 To perform sugaring you need to have a certain set of skills that allows you to flick the sugar paste off the skin WITHOUT strips or anything else. All you have is a sugar piece that NEVER gets dry, and your hands. That is why people created waxing that quickly replaced sugaring, because of its performance simplicity. Even though everyone knows how many chemicals regular wax has in it, people still use it. In 2013 I moved to New York from Europe, where Sugaring is as popular as regular waxing because people there appreciate how natural the sugar paste is and how it is better for the skin! When I came to the USA I was SHOCKED! No one did sugaring back then, and when I tried to search Google to find any place that does sugaring all I could find were messages from other people like me looking for anyone who knows how to do it. Then I decided to buy sugaring paste online so I can do it myself since I was sugaring my legs since I was 14 y/o. And again… you couldn’t buy the sugar paste either… I got frustrated, but then I told to myself: “Alright, If no one does Sugaring here, probably they have other methods of hair removal that should be as good as sugaring”. Then I’ve started visiting different salons trying different methods like hot wax, hard wax, threading, depilatory creams, tweezing, etc. nothing worked for my sensitive skin. In 2014 I decided to open my own Sugaring place “Sugaring NYC” that offers organic “waxing” that is done with Sugar Paste, which is made from ONLY three ingredients: sugar, water, and lemon juice. IT IS EDIBLE!!!!! It is gentle for the skin (no burns, since it is never hot, no ripped skin since it doesn’t adhere to live skin cells, etc). It lasts longer than regular waxing. AND it works for shorter hair, so I don’t have to grow it out! It was a success! 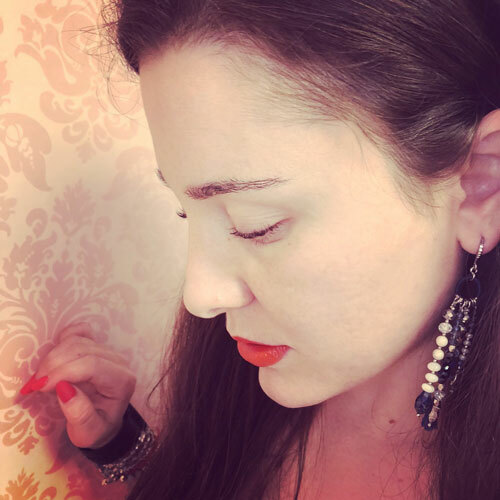 It all started from a treatment room that I rented out in a salon, and soon I got so busy that my husband Dmytro Nartov quit his job and decided to get involved in the Sugaring NYC business. By the end of 2014 we opened our first 4-treatment rooms salon in the heart of Manhattan, New York. Now we operate 7 Sugaring NYC locations in 3 different states (New York, Massachusetts, Illinois). And in December 2017 we took Sugaring NYC to the next level and started franchising! How long does the hair need to be before sugaring? Sugaring can remove shorter hair compared to regular waxing. Sugar Paste “melts” on the skin and is able to get inside the follicles, which allows it grab the hair from the inside. So, our clients don’t have to “grow it out”. The ideal length is about 1/8 of an inch. To make it easier for our clients we always say that the hair has to be approximately the length of a rice grain. Keep in mind, that hair should not be excessively long (more than 4-5 weeks), because the application of the sugar paste can pull the hair if it’s too long. That’s why sometimes we need to trim the hair before the service if it has been a while since a client got sugaring/waxing done. You have your own brand – please tell us about it! Sugaring NYC manufactures its own products. We use our own branded products for pre-sugaring (cleanser, powder) and post-sugaring (calming spray, lotion, healing oil) care. And of course, the sugar paste itself is made by us as well. It’s available for purchase on Amazon, eBay, Walmart if someone is interested to try sugaring at home. 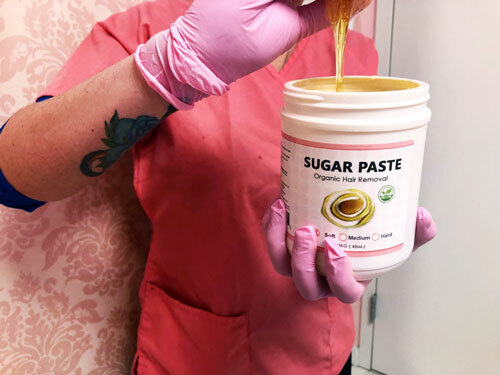 Many Sugar Paste Brands do not sell their products to the public that did not complete a sugaring course with them and are not certified sugaring professionals. Sugaring NYC sells its products to everyone, home-users, and professionals, without making them pay for certification. We love sugaring and we want to make it accessible to everyone who is interested in trying it. But even though many salons work with our Sugar Paste, we do not guarantee the quality of the services they provide since they were not trained by us. Can sugaring help to get rid of the peach fuzz on the face? Sugaring works for all types of hair! Peach Fuzz or curse hair Sugar Paste will get it all! What’s your favorite beauty treatment? How do you recommend preparing skin for sugaring appointment? How do you recommend treating skin after sugaring? Honestly, there is nothing you have to do before your sugaring appointment. Really. There is one thing that you always have to do that is exfoliating your skin. Once or twice a week it is necessary to scrub your skin to make sure that you remove dead skin cells from the sugared areas of the body to make sure that your pores are not clogged and the new hair has a way to “get out”. People that do not exfoliate might get an ingrown hair, cause when you do waxing or be sugaring your hair become thinner and lighter and it’s much harder for them to “grow out” of the skin without becoming ingrown. We sell our own branded aftercare products. Sugaring NYC scrubs are the best when it comes to exfoliation. They come in 7 different flavors (coffee, honey, coconut, lime, strawberry, etc) and are very easy to use. Just mix with shower gel and massage all the sugared areas on your body. We also sell Anti-ingrown hairspray and cream, which help treat ingrown hair if a client has problems with her/his skin. After your sugaring appointment for the next 24 hours, it is not recommended to expose your skin to sunlight and do activities that can make your skin sweat. Your pores are still open and bacteria can easily get inside your skin if you go to the gym, for example. So just try to keep the area super clean for the next 24 hours after the service. And again, exfoliate your skin once or twice a week. Is sugaring safe for tanned skin? Sugaring is safe for tanned skin. But ANY hair removal method is prohibited on the burnt skin. So if you got a sunburn sugaring is not recommended until your skin is healed. In general, sugaring is the safest method of hair removal that works for people with sensitive skin since its organic and the sugar application itself do not irritate the skin since sugar paste does not adhere to live skin cells. That’s the reason why you can go over the same spot like 10 times with sugaring. The regular wax will damage the skin if you will try to apply it to the same spot more than twice. 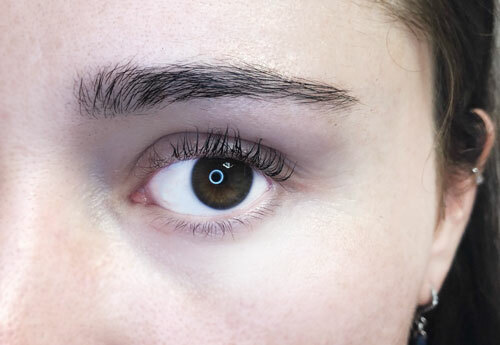 How should clients prepare for Yumi Lash treatment and what should they do or don’t do? Before Yumi Lash lift you don’t have to do anything. Just make sure your eyes are make-up free and clean. But AFTER Yumi lash treatment it is important to not make your lashes wet for the 24 hours after the service. No crying, no shower, no swimming pool, no eye cream and no rubbing your eyelashes. After 24 hours after the service, you can do anything! Like you didn’t even get your lash lift done. Your lashes will stay perfect for like 8 weeks. Special thanks to Chloe and Isabel for awesome summer vibes accessories!